Winter is finally coming for Indian Game of Thrones fans as the finale season is set to air in India on April 15. If you can't wait, here's what an AI algorithm has predicted. New Delhi: Before you read on any further, we would like to warn you that we may have a big hint about the Game of Thrones who will call dibs on the coveted Iron Throne. So, proceed accordingly. The finale season 8 is all set to air in India on April 15 exclusively on online streaming service Hotstar. So, if you cannot wait any longer, you are not alone. The students at the Technical University of Munich seemed to have been so impatient for the finale season of the fantasy drama that they have developed an application to predict the last man or woman standing in the show. 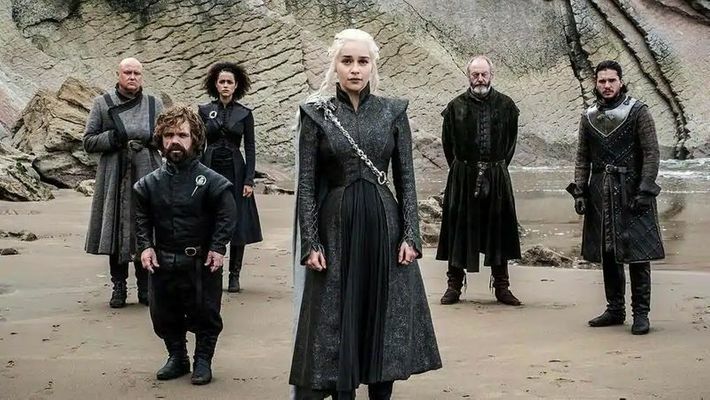 Their application scours the web for details about each character on HBO's fantasy show, which are then taken up by Artificial Intelligence (AI) algorithms to judge their chance of survival. "We put all this together to train the algorithm to tell us when this character is going to die," said Christian Dallago, one of the students behind the app. This is not the first time either that AI has been called upon to give GOT spoilers. In 2016, computer science students of the same university predicted accurately that Jon Snow would resurrect by using their algorithm. In India, the series has created quite a frenzy too. A recent survey revealed that India ranks fourth when it comes to excitement about the show among the 178 countries that it airs in. And, desi GOT fanbase ranks first among the Asian countries too. When it comes to cities, Mumbai and Delhi seem to be the most enthusiastic about season 8 as compared to the Bangalore and Hyderabad. Also read: Did you see the Tyrion Lannister lookalike from Pakistan? Spoiler: So, if you are still reading, you clearly are one of the GOT superfans. And, here is your reward: AI says that Daenerys Targaryen has the best chance of survival in the final season.